With a release date set for November 3rd 2017, it looks like the ball has started rolling on Thor: Ragnarok with The Wrap reporting that New Zealand director Taika Waititi (Eagle vs. Shark, What We Do in the Shadows) is in negotiations to helm the Thunder God’s second sequel, following Marvel Studios trend of choosing up and coming directors over established ones. Waititi (who has a history with comic book movies with a supporting role in Green Lantern) has made a name for himself in the world of t.v., helming episodes of The flight of the Conchords and The Inbetweeners, but he’s probably better known for last year’s vampire mockumentary What We Do in the Shadows, which has gone on to be a cult hit. Having beat out Ruben Fleischer (Gangster Squad, Zombieland), Rawon Marshall (Dodgeball), and Rob Latterman (Goosebumps), Waititi is certainly the most unlikely choice Marvel Studios has made, but given their track record, just go with it. The Russo Brothers and James Gunn seemed like strange choices, but they went on to deliver probably the best instalment’s of the MCU’s Phase 2. 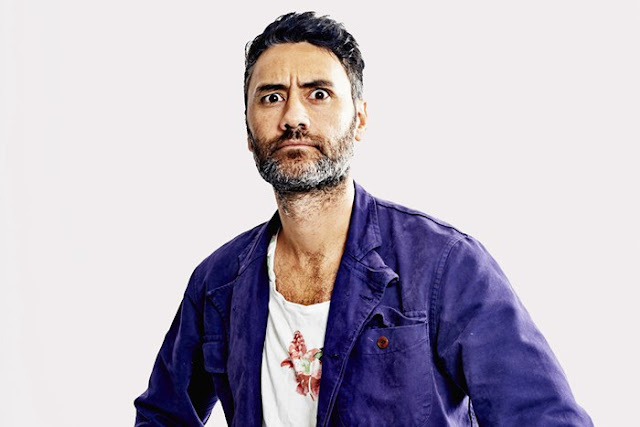 I’m certainly interested how Waititi, best known for comedy, will handle the ensemble cast and fantasy tinged action. of Ragnarok. Nothing much is known about the sequel, other than Chris Hemsworth and Tom Hiddleston have been confirmed to return as Thor and Loki, but with the subtitle Ragnarok referencing the end of the Norse gods, it’s safe to say the ante will be upped considerably this time round.